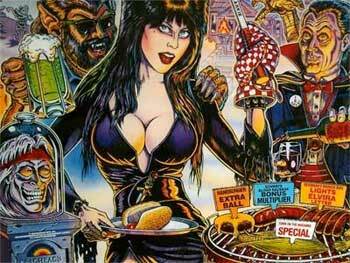 Check out these Elvira and the Party Monsters for sale. You will also find parts and accessories for current owners including the rubber ring kits, decals, manuals, translites, flyers, rubber boogie men, and flipper rebuild kits. Sounds that Go Bump in the Night! You're Gonna Have a Ball! 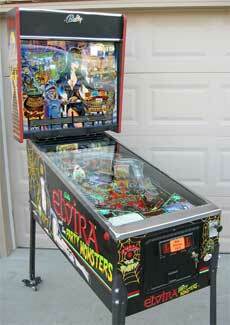 Elvira and the Party Monsters was made soon after the merging of Williams and Bally.